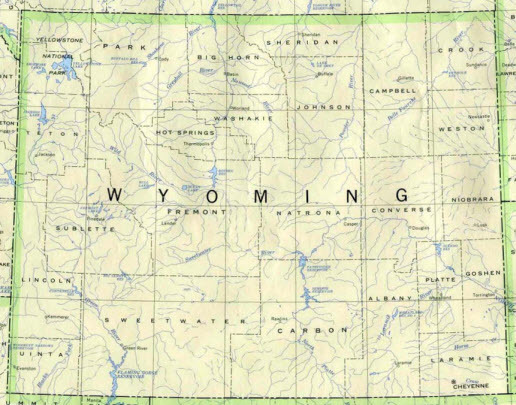 Refer below for a list of Wyoming cities and counties covered in Wyoming. Please contact us for pricing for the Casper area, surrounding area pricing for communities such as Glenrock, Mills, or Evansville, Wyoming or for other areas within Natrona County where our main office is located. PSWI has process servers serving: Afton, Bar Nunn, Basin, Big Piney, Bondurant, Boulder, Buffalo, Casper, Cheyenne, Chugwater, Cody, Cora, Cowley, Daniel, Deaver, Douglas, Dubois, Edgerton, Ethete, Evanston, Evansville, Ft. Laramie, Ft. Washakie, Gillette, Glendo, Glenrock, Green River, Greybull, Guernsey, Hartville, Hawk Springs, Hudson, Huntley, LaGrange, Lance Creek, Lander, Laramie, Lingle, Lost Springs, Lovell, Lusk, Lyman, Manville, Marbleton, Midwest, Mills, Moorcroft, Mt. View, Pavillion, Pinedale, Powell, Rawlins, Riverton, Rock Springs, Sheridan, Sinclair, Torrington, Van Tassell, Veteran, Wheatland, Worland, Wright, WY State Penitentiary, and Yoder, as well as process serving in Colorado and other states.